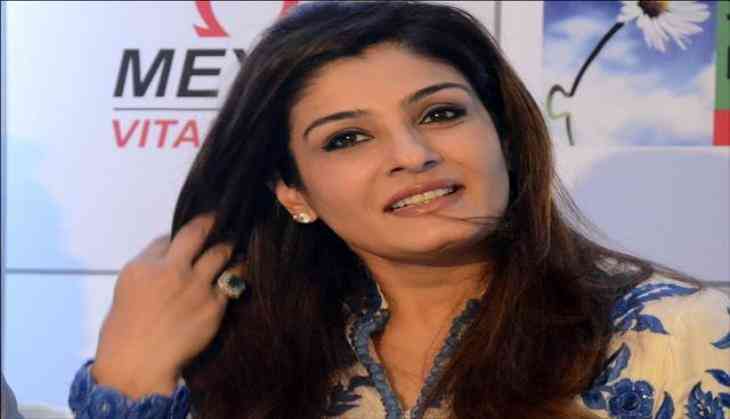 Raveena Tandon is busy with the promotions of her upcoming film Maatr. During a recent interaction when Raveena was asked if she would like to be part of sequel of Andaaz Apna Apna that originally starred her with Salman Khan, Aamir Khan and Karisma Kapoor in 1994 the actress replied in jest, "I would love to be but I know that my photograph is going to be hanging there. Aamir and Salman will be garlanding me and LoLo (Karisma Kapoo) and say, "Humari Biwiyaa mar gayi ab kya kare?" (Our wives are dead, now what are we suppose to do?) And then, they will be running after 21 year old heroines, So that's how the sequel is going to start."